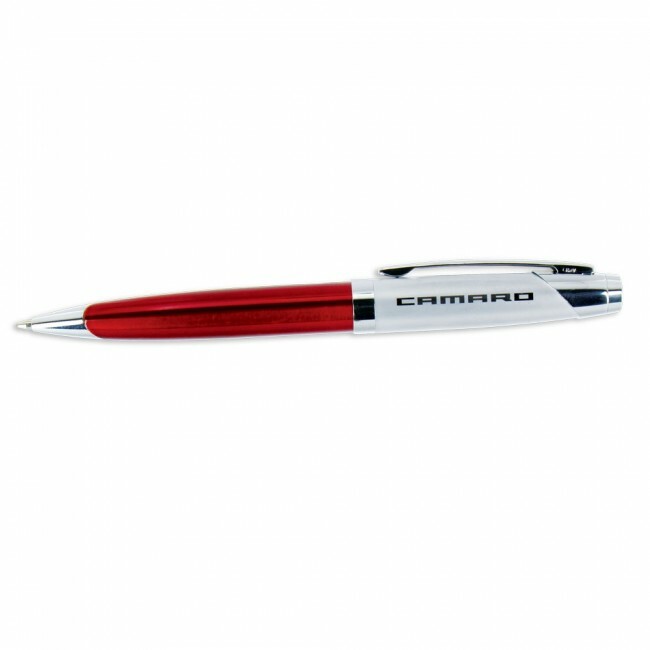 This twist-action ballpoint pen features a solid brass cap in satin silver, chrome accents, pocket clip, and solid brass barrel. 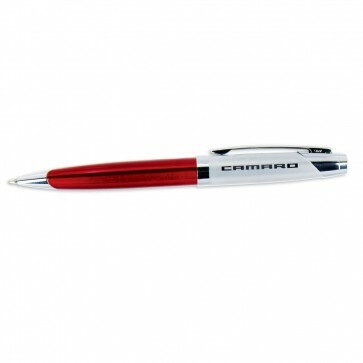 Camaro signature logo on twist-cap. Black ink and refillable.